Finding alternative strategies that fit your portfolio isn’t easy. Alts are more flexible than traditional strategies, often making their category names meaningless. We believe it’s better to focus on outcomes. 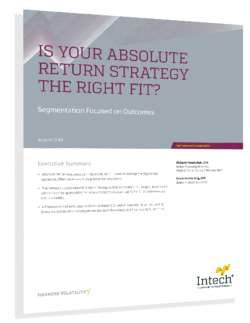 Is Your Absolute Return Strategy the Right Fit?